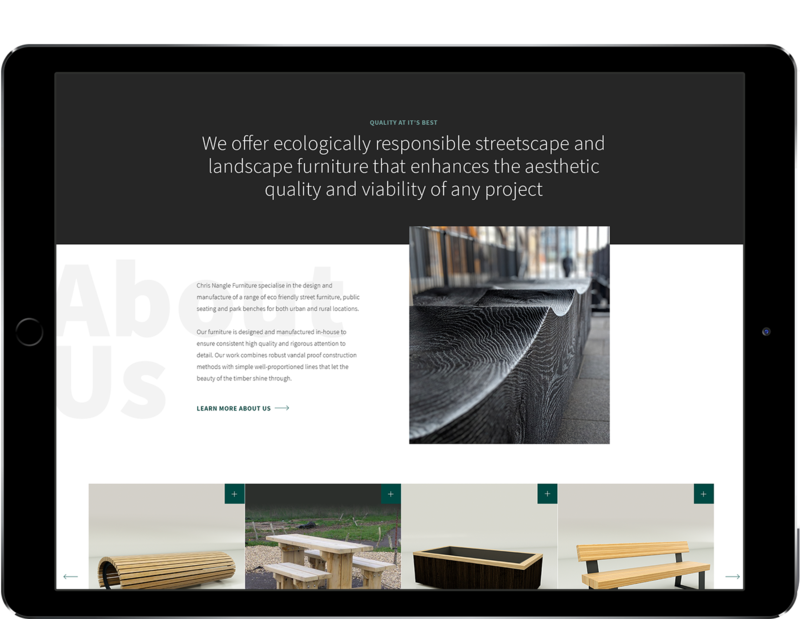 Branding and WooCommerce site for Chris Nangle Furniture, specialist in the design and manufacture of a range of eco friendly street furniture, public seating and park benches for both urban and rural locations. 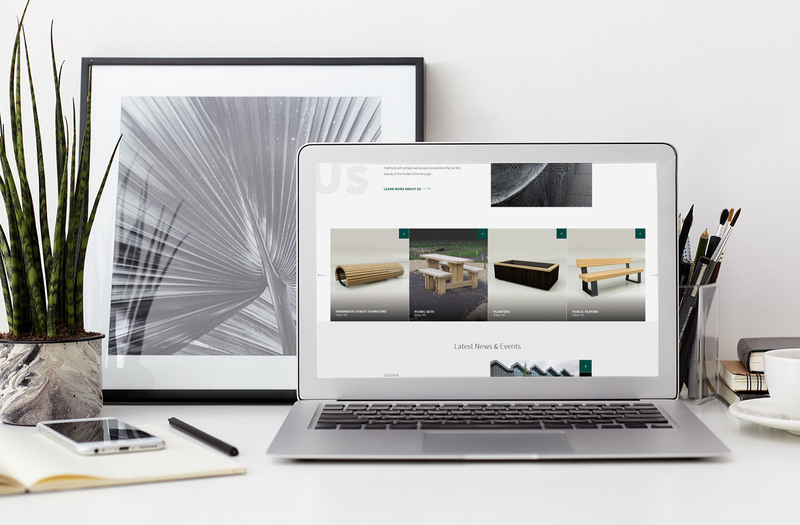 We launched a new website for Chris Nangle Furniture, a project which involved the redevelopment and redesign of the existing website aiming to provide a simple and clean, yet visually impressive online platform for the company. 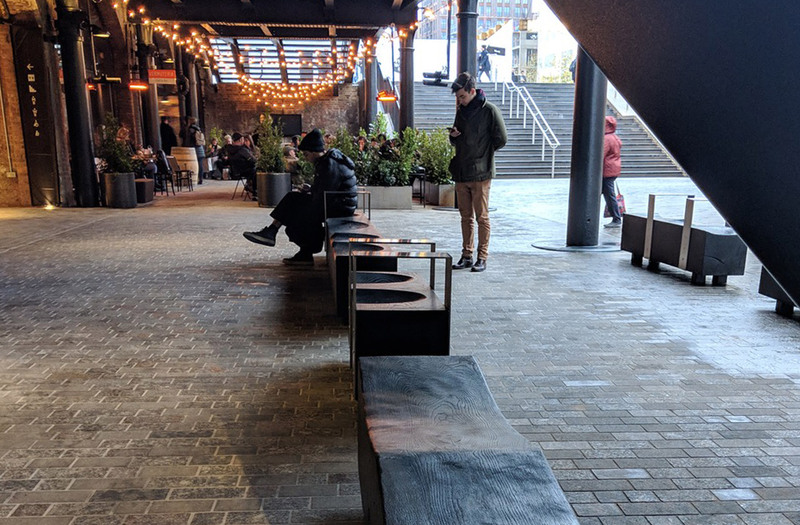 The company specialise in the design and manufacture of a range of eco-friendly street furniture, seating and park benches for both urban and rural locations. All furniture is designed and manufactured in-house to ensure consistent high quality and rigorous attention to detail. The website needed to reflect the quality of the products that the company has to offer and match the contemporary style of the furniture. Working closely with the client the team at Verve redefined the visual style of the company whilst adding in new conveying key messages in a clear and effective manner. 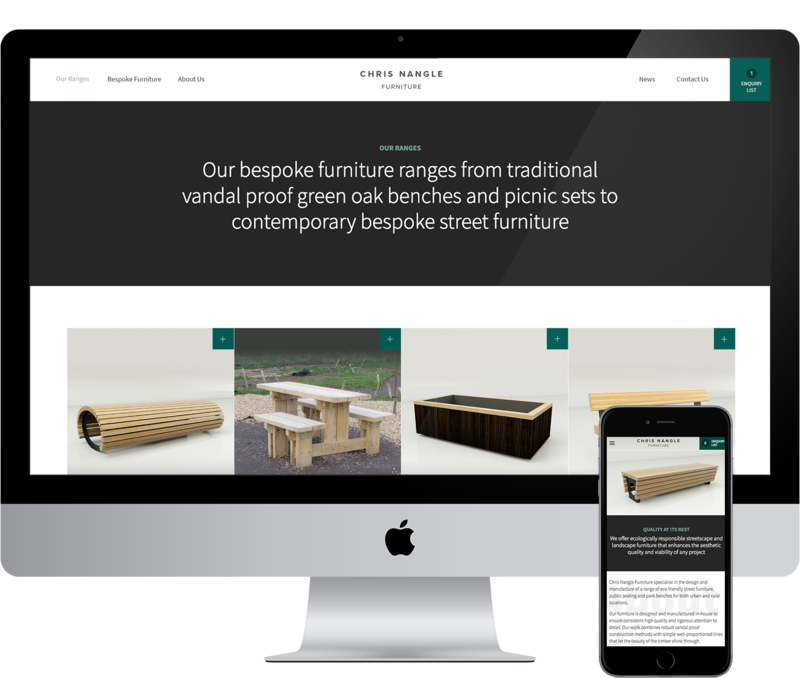 The bespoke website now provides an easy and effective user experience giving the customer clear calls to action across multiple devices. There is now a much more eCommerce feel to the design and layout of the website and it features a smooth, easily accessible and manageable content management system using WordPress to allow content updates to be added quickly and efficiently. We added in a WooCommerce integration to provide an enquiry list and quoting function. Alongside the new improved functionality and design the website now also features video on featured products, download function, social media integration as well as a blog/news feed.